It's Thorsday folks and we have quite the Swede for you today. The dollars per level of crazy is off the charts on this one. 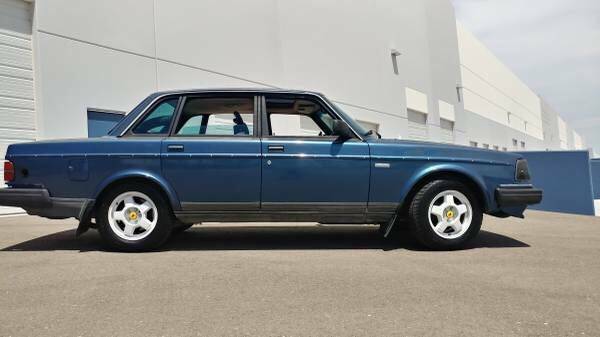 This Volvo 240 build is sort of a more discreet budget version of this Corbin Goodwin bonkers Rolls Royce. 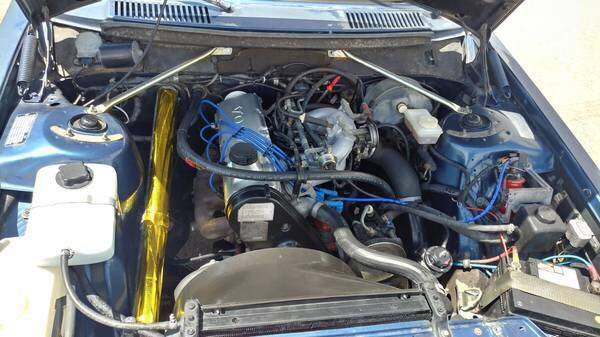 Many brick Volvo's feature American V8 swaps swapped into their huge engine bay. The 240's did come with a factory turbo 4 cyl engine option in the mid 80's and later turbo redblock turbo engines from the 940 are commonly swapped into later NA 240's. 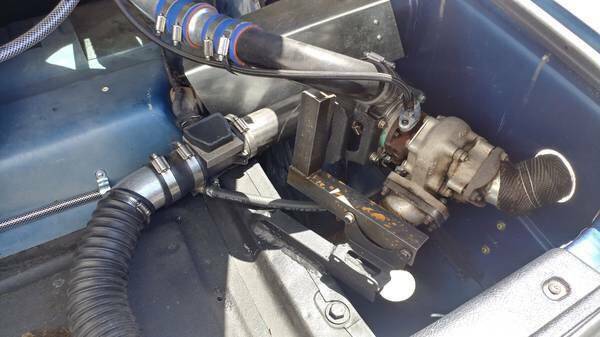 With all that said, today's seller took the path less traveled by has fabbing up a insane home brew rear mount turbo (see pics below) set up in the trunk with little regard for passengers foot space, any attempt at hiding the set up, and trunk cargo capacity. 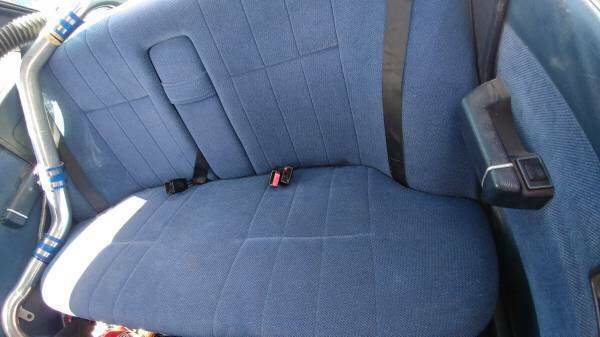 Find this 1989 Volvo 240 for sale in Tucson, AZ for $2,000 via craigslist. Tip from Lynn. This is a picture heavy post. The pictures start from the engine bay and head towards the rear where things get even more interesting. The dash toupee' is understandable given the desert heat on the plastic. This is the first hint there is something different about this car. Not many stock 240's have a passenger floor mounted fire extinguisher and the shifter looks like it was lifted out of a muscle car. Those two are small nits until you get a load of the steel turbo piping routed under the glove box down to the passenger floor board. Why mount under the car when you go straight through right? 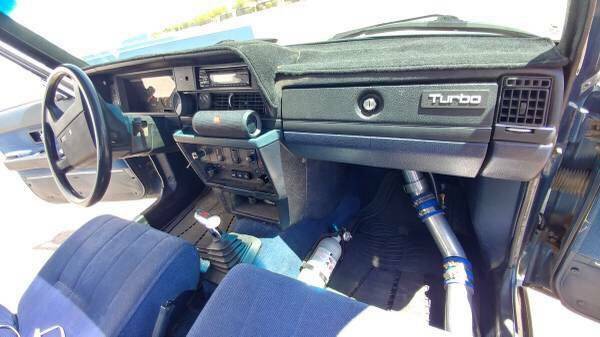 The turbo piping continues snaking through the back seat on the passenger side up to the rear deck area. After 15 feet of piping we finally get a chance to lay our eyes on the trunk mounted STS turbo with the side trunk exit exhaust. There looks to be some sort of flux capacitor wired in, what looks like a digital home thermostat, and some garden hose coming out both ends of some sort of oil feed? I think most spouses would empty their bowels immediately upon opening the passenger door! 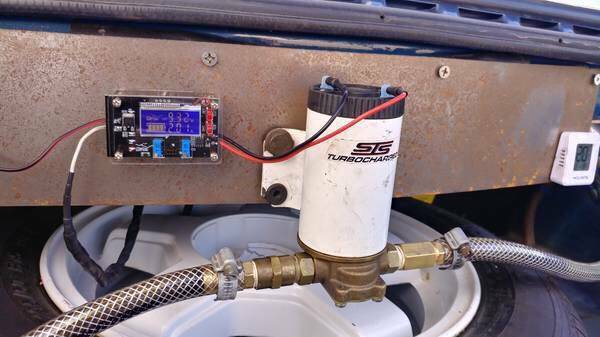 Can anybody explain the benefit of a rear mounted turbo? Heat is turbo enemy #1 so taking it out of the engine bay helps I assume? It had better be worth it, but this looks like a nightmare to me... and it's anyone's guess how hot that pipe on the passenger floor board gets! Rear mounted turbos were developed as a packaging solution to cars that had cramped engine compartments - fourth generation Camaros, for example. Seeing this done to a Volvo made me expect to see a turbo in the trunk the size of a basketball, at the very least, not that little rinky-dink unit. I thought the same thing, but the ambient temp in Arizona is already 1,000 so it probably doesn't make much difference. In colder climates you probably wouldn't need a heater! My concern would be how much lag does that tubing create? I would think it needs to build pressure over that long run and that is going to take some time. "Heat is turbo enemy #1"
so you really want the turbo as hot as possible. But no hotter. I guess I was thinking about EGT's? That was always my understanding, but interesting info. Message me on the cl ad and we can work out a deal. Pressure drop? What pressure drop? Points for creativity. Negative points for execution. This is my car. I didn’t build it but I love it tons of potential. And everyone that sees it either loves it or hates it. So whatever. Just selling because I have way to many projects. Take a perfectly good Volvo and ruin it. Excellent execution of automotive-insanity. Puffer in the trunk vs. a V8 will fit? What am I missing here? Stacey David's GearZ TV show did a rear mounted (like this) twin turbo Corvette or Camaro about 5 years back. No internal engine mods, relatively light pressure setup. Not as crazy as it seems.